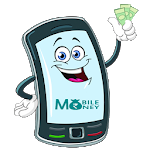 Mobile Money App to get cash backs on coupons and Deals and instant free recharges. Mobile Money is an App to free recharge your mobile by using Coupons, Deals, App Installs and many more interesting offers. 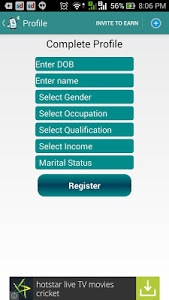 All you need to do is install Mobile Money App which is also free. 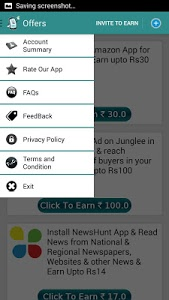 'Mobile Money' App offers absolutely free talk time on installing other free Apps, applying to free recharge mobile offers, online registration, coupons, buying products from Amazon, Flipkart, Snap Deal, Paytm and all e-commerce sites. 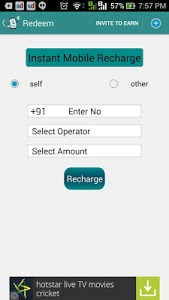 Now User can do online recharge using free mobile recharge money. Also, there is a double bonanza for users as they also get free recharge on using free discount coupons. Our App supports all Indian Operators like Airtel, Vodafone, BSNL, Aircel, Idea, Reliance,Uninor,Tata Docomo, Loop Mobile, MTNL and others. The free mobile recharges are done on real time basis. 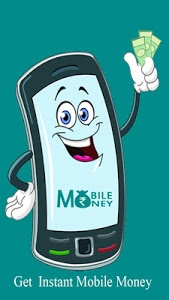 Mobile Money have unique system of providing personalized offers on basis of your profile, location and preferences. 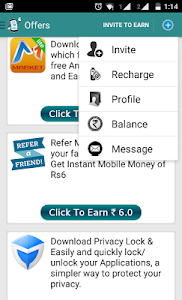 The user gets recharge money against each offer user opt and the reward recharge money will be in terms of recharge cash that user can utilize to recharge your own and yours friends or families Prepaid mobile or Post-Paid customers can use wallet money for recharging any prepaid mobile for self, family or friends. •	You can instantly recharge any prepaid mobile in just one click. •	Mobile Money on downloading Apps. •	Mobile Money on playing games. •	Mobile Money on watching videos. 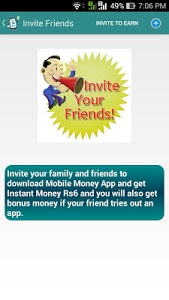 •	Get unlimited free recharge money just by referring your friends. 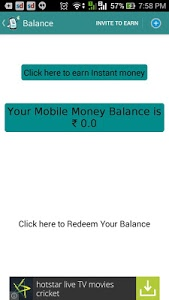 •	Post-paid customers can use wallet money for recharging any prepaid mobile for self, family or friends. •	Supports all Operator Airtel, Vodafone, Aircel, BSNL, MTNL, Idea, Loop Mobile, MTS, Reliance, Tata Docomo, Tata Indicom, Uninor, Videocon, Virgin Mobile.